You know the drill. These are the fotos that tickle me. 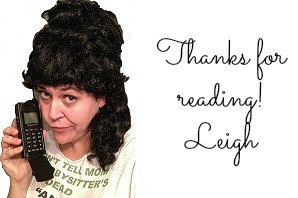 There is a slight Holidaze theme but surely there will be something in this batch that will make you chuckle. 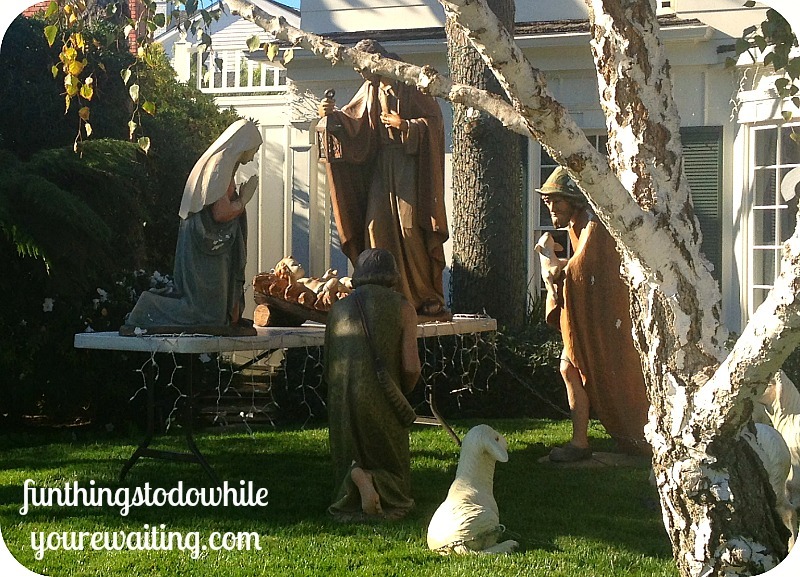 My other favorite neighborhood holiday decoration, was a lovely nativity scene a family set up in their front yard. And when you come to Bethlehem- lo, ye shall find the babe on a utility table, surrounded by animals and a creeper guy in an awesome fedora and Crocs. After I flew home for the holidaze, I went to Sam’s Club to help my mom with shopping. 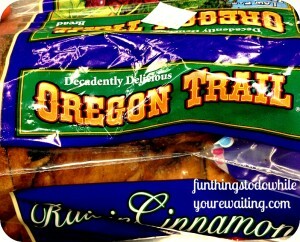 She picked up some Oregon Trail Cinnamon Raisin bread. She was unfamiliar with the 90’s pc game and therefore did not get my jokes about dysentery… that being said, it was delicious. 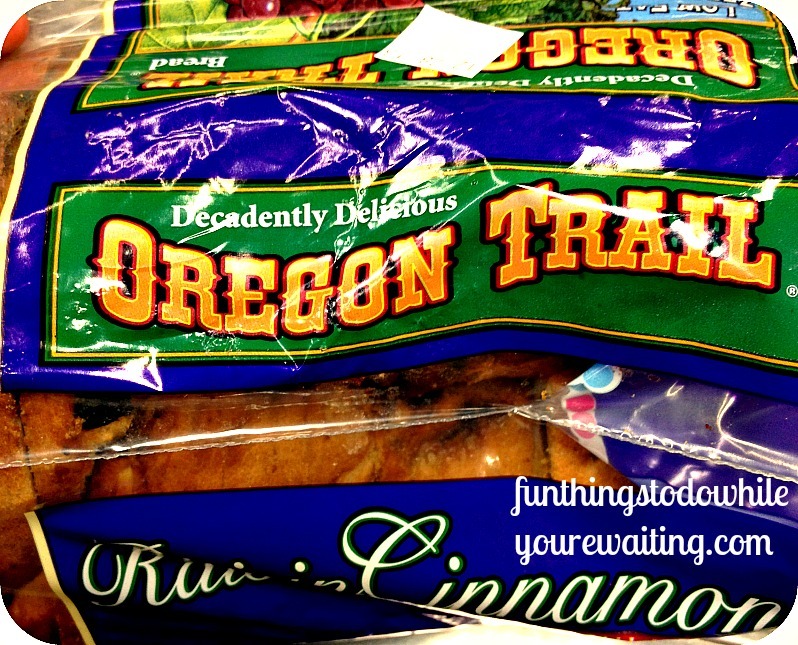 If you ever see some and are into the whole Cinnamon Raisin thing… then get it! 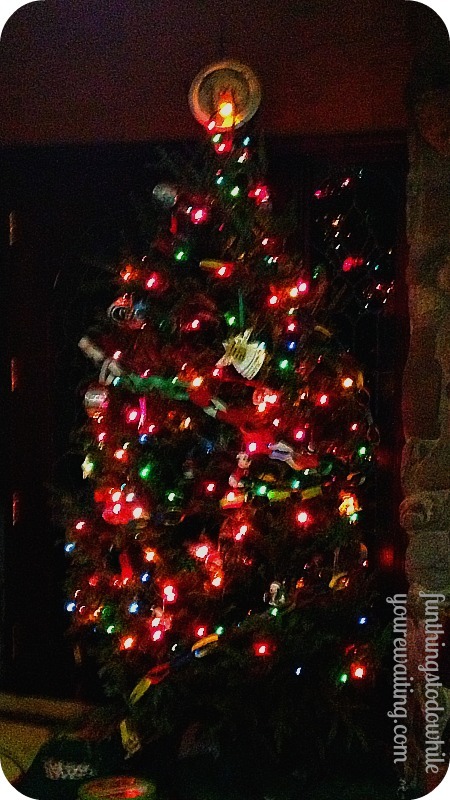 My family had waited to really decorate for the holidays until my arrival… which was great! I got to help decorate trees in California AND Georgia! My mom is a big fan of many trees and this was the family room tree. Although I love a good white light, colored lights are solidly my favorite. As I mentioned, I got to spend my New Years with my family at the Georgia Coast. It is a land of extreme beauty. 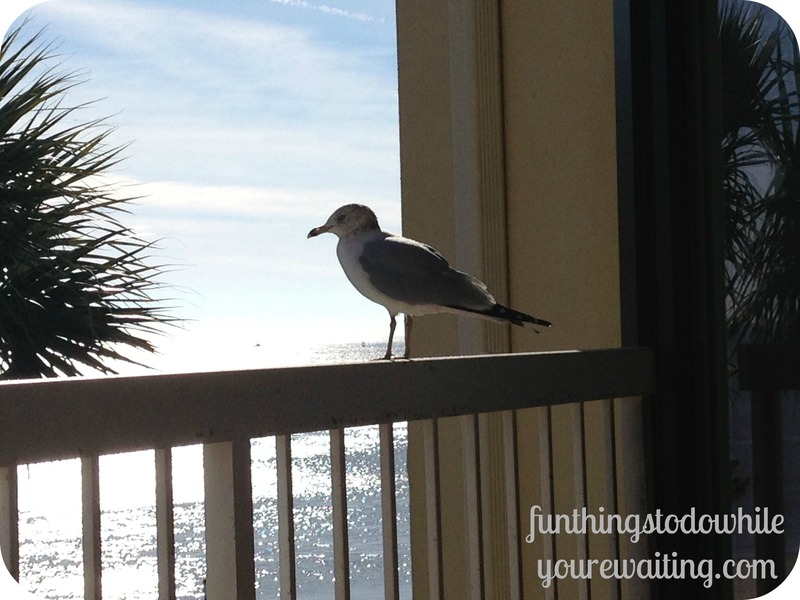 This friendly guy decided to join me for coffee on the porch one morning. As I’ve said before, coastal Georgia is one of my hands-down, all-time-favorite, places. 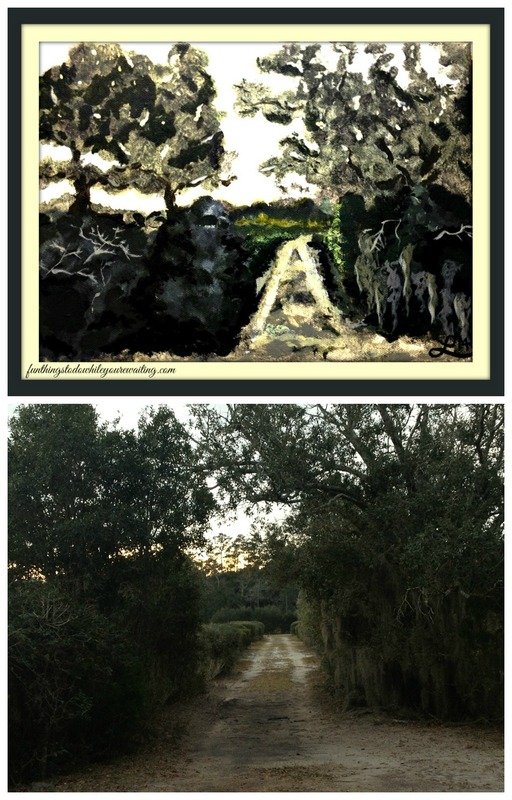 I took some photos while we were down there and after we came home unexpectedly soon, I was able to try and paint one with my dad. Not too bad! As he said, “Well, it is definitely a style.” Below, also find my inspirado pic. As Coralie mentioned, I spent my last night in Georgia with her in Atlanta, but my last night in Lavonia was spent doing something so special… having dinner and playing bridge with my mom, dad, and g’mama. It really was a perfect evening. 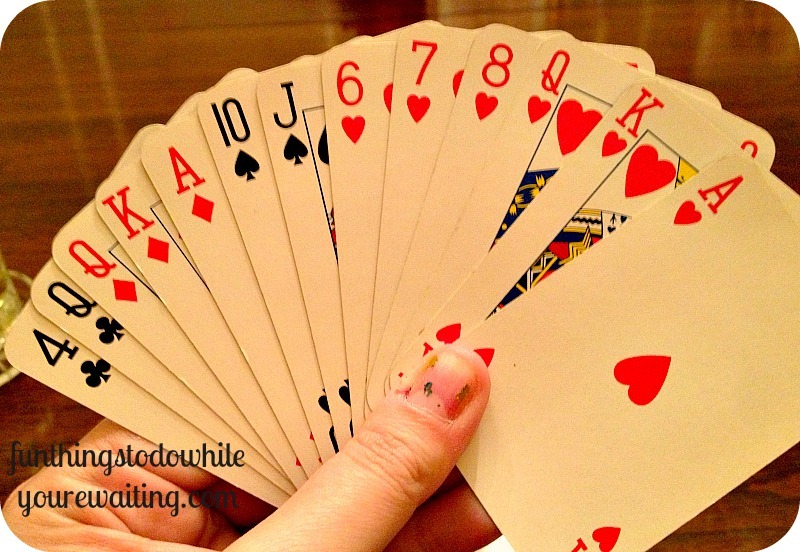 And look at the awesome hand of bridge I got! That’s 21 points not counting distribution?! Yes. I am a bridge nerd. I was so glad that I got some time with Coralie over the holidays… even if it was for only 24 hours. Coralie, Bubs, and Baby Bubs, (along with their sweet friends) were awesome enough to meet my mom and me halfway between Lavonia and Atlanta at a Georgia winery. We took a tour, and had a tasting. While wandering around the showroom, however, I found the following flavor description. 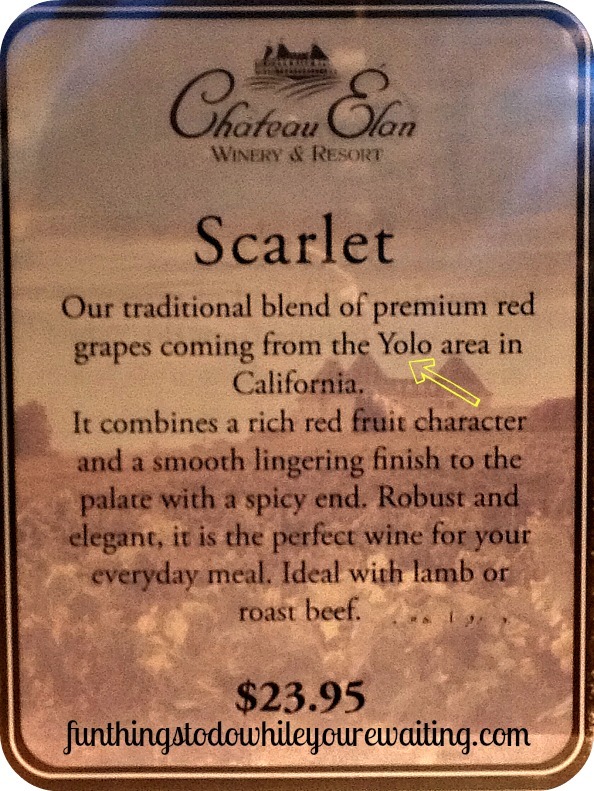 I have sense looked up to see where the YOLO area is, but I still my uninformed opinion better. One of the jokes through the holiday between my brother and me was that no matter when you turned on the tv, the movie Dodgeball was always playing somewhere. 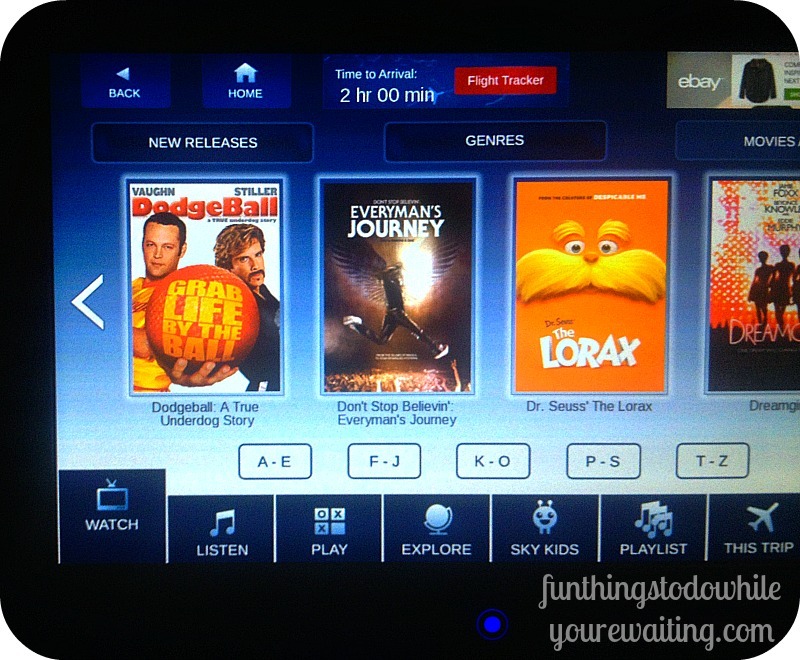 So, it made me laugh when I got on my plane back to LAX for a 5 hour flight and THIS was one of my in-flight movie selections… For the curious, I watched ‘We’re The Millers’ (which I give a D) and ’20 Feet From Stardom’ (A+). 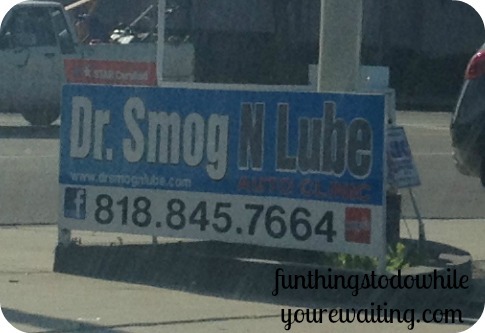 And now I’m back in California… where you can have a doctorate in Smog N Lube… I prefer to think of it as a typo and it is actually a family of doctors: Drs. Mognlube… yeah? Previous Article← Board Games: Fun for the Whole Family!